Apparel that helps fix rivers ─ and looks pretty cool too. The Freshwater Trust is proud to release a brand new shirt available for purchase for a limited time. More than 600 followers and supporters weighed in on four design options on social media, and this was our winner. 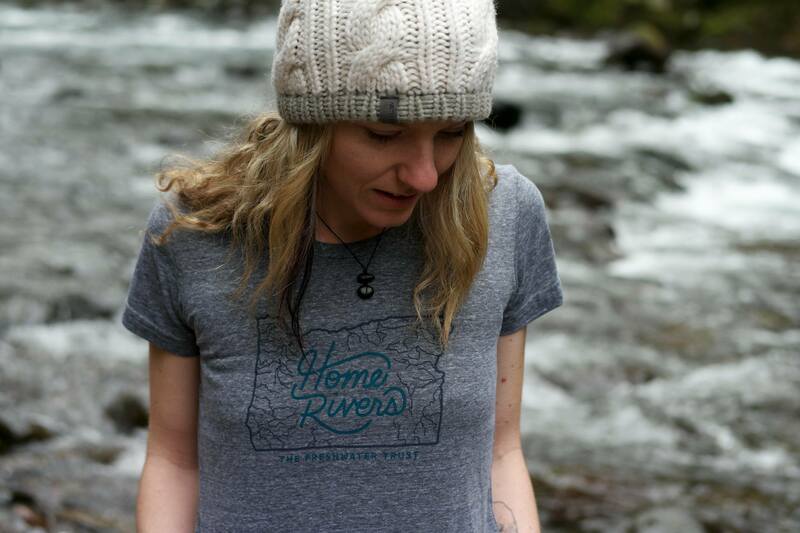 Together, we created a piece of merchandise that pays homage to all the ways rivers tie us to a place and 35 years of restoring and protecting Oregon rivers like the Rogue, the Sandy and the Columbia. Your donation will go back to helping us do more for the rivers we love, and the communities of people and wildlife that rely upon them. The design by Johnny Bertram is hand-printed in Portland, Oregon, on the softest t-shirts from Territory Run Co. Supplies are limited. Also, please note that $16 of your $25 purchase is tax-deductible. If you’d like to order multiple shirts or place a large order, please call Haley Walker at 503-222-9091 X30 or email her at haley@thefreshwatertrust.org. Note: The women’s shirts run on the small side. The Freshwater Trust has an office in Sacramento, California and is actively working to protect and restore rivers like the San Joaquin River, the longest river in central California. We are also working with farmers and municipalities to secure a more sustainable water future for the Golden State. Would you like to support our continued effort there? 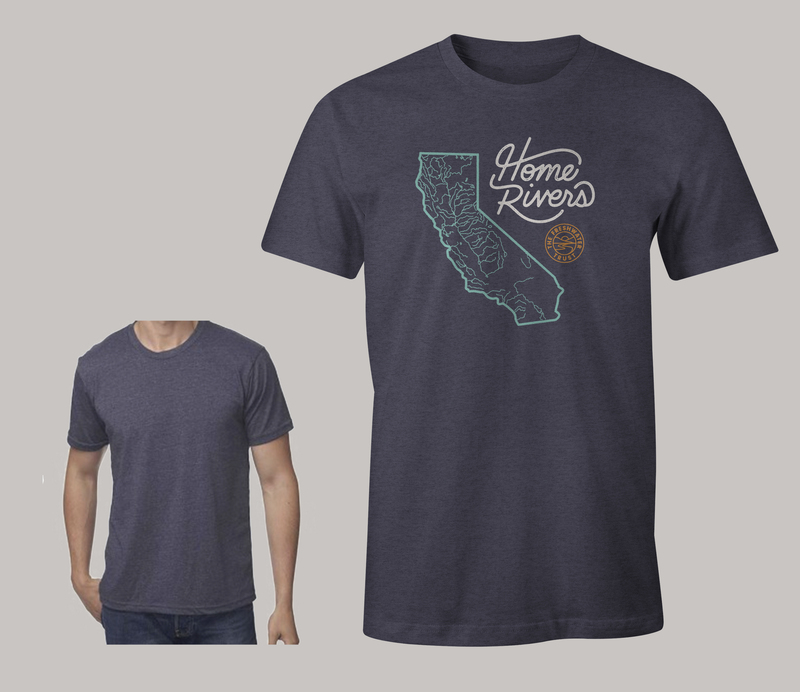 Purchase a California Home Rivers t-shirt and help us do more work on the ground and behind the scenes.